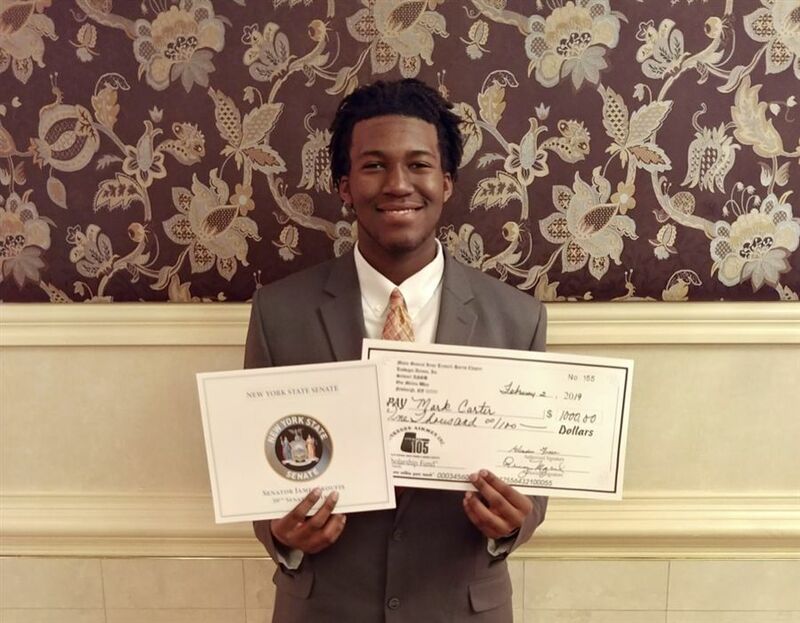 The ceremony honored the legacy of the Tuskegee Airmen by presenting 12 scholarships to college-bound high school seniors from the Hudson Valley. 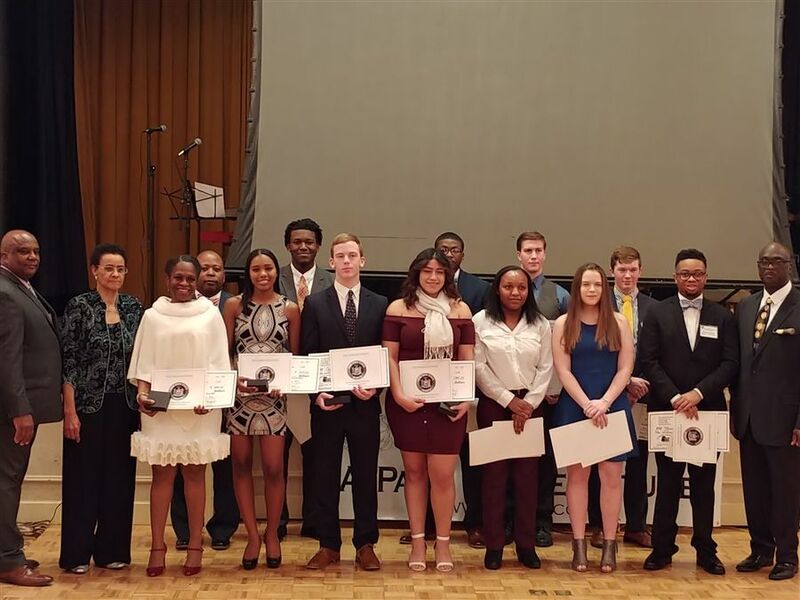 This year’s recipients were: Melanie Angel; Kelly Bramble; Mark Carter, Jr.; Michael Castro; Brandon Gibbs; Joshua Keller; Evan Hathaway; Conner Leggett; Marvin Mungo; Michael Shorter-James; Kerry O’Connell and Nina Zylberberg. 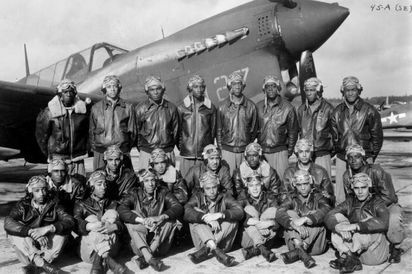 The Tuskegee Airmen is the popular name of a group of African-American military pilots (fighter and bomber) who fought in World War II. They formed the 332nd Fighter Group and the 477th Bombardment Group of the United States Army Air Forces. The name also applies to the navigators, bombardiers, mechanics, instructors, crew chiefs, nurses, cooks and other support personnel. Glendon Fraser, President of the Major General Irene Trowell-Harris Chapter of the Tuskegee Airmen, held back tears as he pointed to the center of the ballroom floor during the awards ceremony. It was there that chairs would usually be placed for the original Tuskegee Airmen who would be recognized during the annual Tuition Assistance Awards celebration. But sadly, there are no more. For the past 21 years, Fraser has been able to call out the names of several Tuskegee Airmen. Names like William Johnson, Wilfred DeFour, Dabney Montgomery and “Coach” Roscoe Draper. He has watched as they have aged, and their numbers decline, leaving fewer and fewer of those precious chairs for men of great character to fill. Over the years it seemed to provide Fraser, and all those associated with the local chapter, with a drive, a sense of urgency to not only establish a viable chapter of the Tuskegee Airmen, but to continue to build the bridge that the Tuskegee Airmen paved and assuring a path to the future that the chapter namesake Dr. Irene Trowell-Harris has kept them focused on. Congratulations to Mark on this outstanding achievement!